Helsinki, Finland: Court documents on Monday identified the suspect in last week's stabbing spree in a Finnish city, which is being probed as the country's first-ever terror attack, as 18-year-old Abderrahman Mechkah. The motive for the attack was still not known. Investigators said Sunday that they had interrogated the suspect for the first time, but disclosed no information about the outcome. The attack occurred just after 4:00 pm (1300 GMT) on Friday, with police shooting the knife-wielding suspect minutes later. It said at the time that it saw an increased risk of an attack committed by Islamic State militants, noting that foreign fighters from Finland had "gained significant positions within IS in particular and have an extensive network of relations in the organisation." The agency reiterated on Monday that it was closely watching around 350 individuals- an increase of 80 percent since 2012. A minute of silence will be held across Finland on Sunday in honour of the victims. 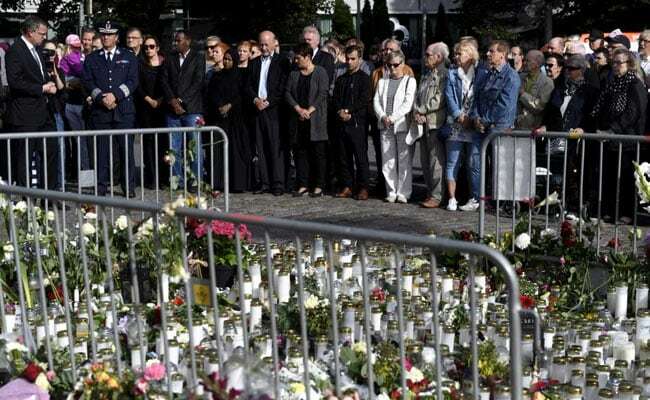 ​Another minute of silence will be held in Helsinki today, organised by Christian and Muslim associations.